The term 20/20 means that you can see an object clearly when it’s 20 feet away from you, just like normal. If your vision is 20/100, then viewing an object from 100 feet away is too far for you but fine for others; to see it clearly, you must come within 20 feet of that object. 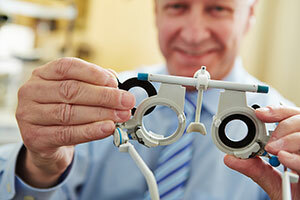 Your optometry clinic has several tests that can check your visual acuity. A common test consists of a chart with letters that become smaller as you read further down the page. Each line of letters corresponds to a level of visual acuity. If the “20/20” line looks blurry to you, then you may have impaired vision.